Cinnamon Soho is the latest restaurant from chef Vivek Singh, the man behind the much-loved one star Michelin restaurant Cinnamon Club and its sister Cinnamon Kitchen. In contrast to the chic elegance of Cinnamon Club which caters more to politician types from its location in The Great Westminster Library, Cinnamon Soho exudes a more urban feel to it from its home in the trendy Carnaby Street area. 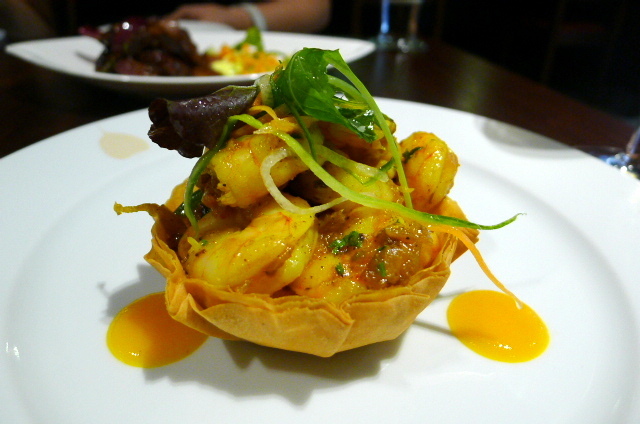 Cinnamon Soho has a good value Sunday brunch/lunch menu where £25 will get you a three-course menu with a side dish. The evening a la carte prices also seemed reasonable with starters at about the £6 mark and mains ranging in price from £11 to £17. We kicked of our lunch nicely with a sweet lassi smoothie (£4) which was wonderful – icy cold, creamy and not too sweet, this was one of the nicest lassis I have ever tried. Stir-fried shrimp with curry leaf and black pepper was exceptional with the prawns being well cooked, firm and juicy. The spices used included cardamom, fennel, turmeric and cumin, and the way in which they had been combined was incredibly well done to not only give the dish heat but also elegance. Coorgi pork stir-fry was wonderfully yummy. 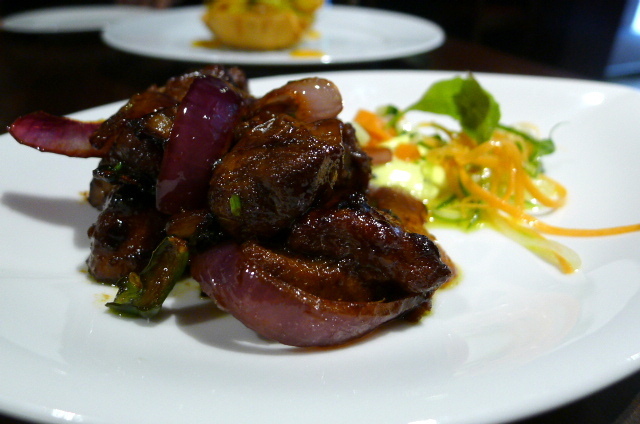 The tender and tasty pork belly had been slow cooked and then stir-fried with a honey glaze and soya sauce. The congruence of Western, Chinese and Indian influences (pork belly, stir frying with soya sauce and Indian spices, respectively) were innovative and well considered. 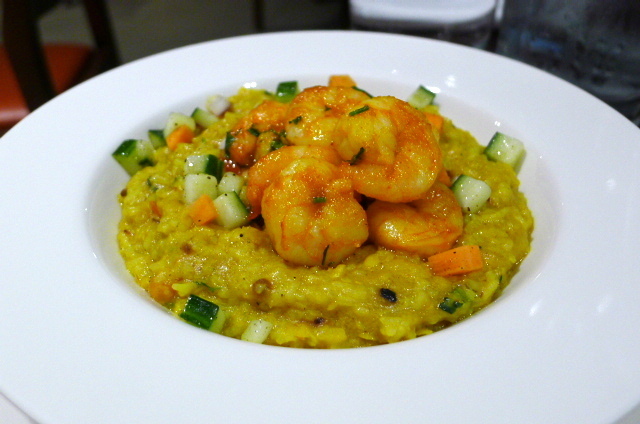 To mains, and a hot-sweet shrimp ‘kichri’ was great too. Akin to risotto and made with rice and yellow lentils for a truly unique taste combination, the dish has been cooked with a fish stock for a sweet intense flavour. The prawns were again firm and delicious. 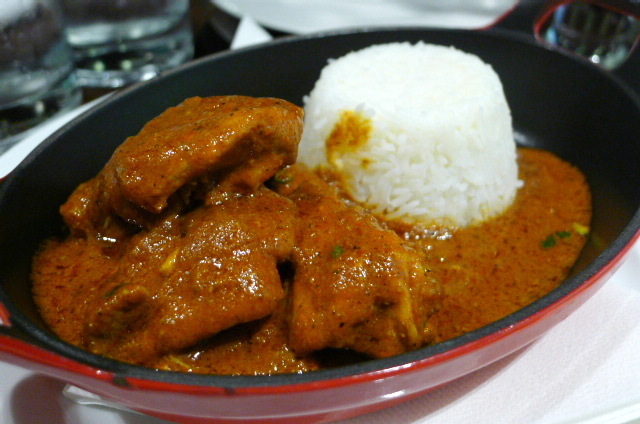 A chicken chettinad, a South Indian spiced chicken curry, was one of those dishes you wanted to mop up with lots of naan bread, such was the quality of the sauce. Made with coconut milk and a variety of spices including cumin, the sauce was creamy, rich and poetic. 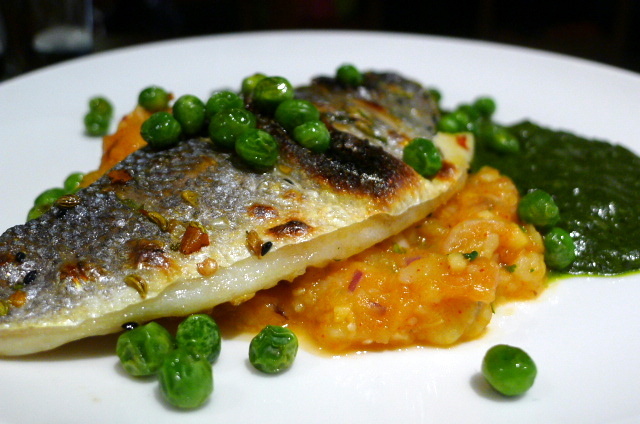 We went for an extra main, a seared sea bass fillet which was moist, and the skin crispy. It came with an aubergine potato crush and spinach purée, the combination of which was a little odd. 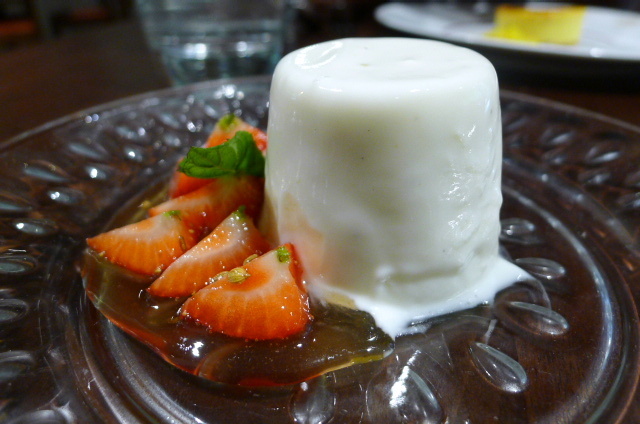 Lassi panna cotta with tamarind glazed strawberries came with the requisite wobble and was very tasty. The gentle hint of tamarind in the glaze was subtle and delicate. 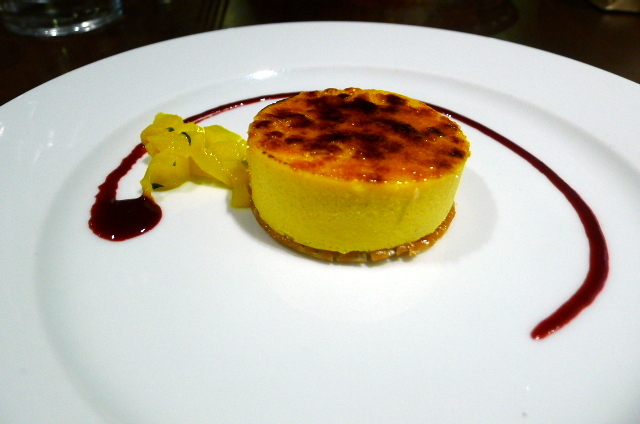 Mango and cardamom brûlée was quite dense and resembled a heavy-set custard rather than a light brûlée. A stronger mango flavor and a lighter texture would have probably worked better. As nice as the food was, our Sunday sitting proved to be a rather quiet experience – there was only one other table at the restaurant – so there wasn’t much atmosphere to speak of. The service was friendly but could have been more attentive, especially as the staff to diner ratio was so high given the restaurant was so quiet. Nevertheless this was one impressive lunch. It showcased skillful cooking, deft spicing, and innovative and creative dishes cooked with wonderful ingredients – and at a reasonable price. Great value, shame about the atmosphere. Price range: £25 for a 3 course Sunday lunch. Excludes drinks and service. You had many of the same dishes we did, and similar feedback about them. We felt that the food was really good, even more so when considering the Sunday brunch price point. We had similar issues with service and of course, during our mid-afternoon lunch, it was similarly empty in the restaurant. But as we were a group of 5 we didn’t mind that aspect. Good to hear we are in agreement. Despite the lack of atmosphere, I really enjoyed the food. The chicken chetinad and stir fried shrimp with curry leaf look and sound wonderful! This sounds like a place I’ll definitely have to try when I’m in London next. I just want to tell you that I am very new to blogging and honestly enjoyed your web-site. Most likely I’m planning to bookmark your site .